I’m excited and grateful to be going to the June 14 TFC against the Colorado Rapids. 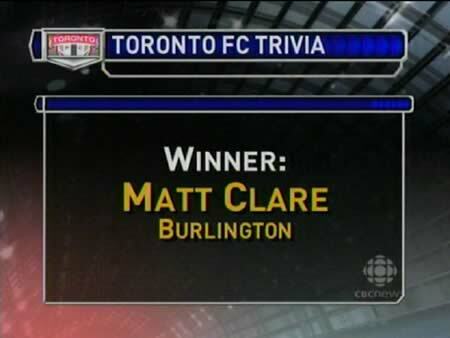 I won by knowing Wednesday’s answer to “Who do TFC fans sing a tribute song to at the 24th minute of every game?”: Danny Dichio and Thursday’s answer to “What English team will the TFC be playing during this summer’s all-start game celebrations: West Ham United. Thanks CBC news at six! Most Firefox users know about the super-fast in-page search (ctrl+F/Command+F) – it’s one of those features that have been there since Firefox 1 and prevent users from switching back to other web browsers. Did you know that you can instantly search for any text on a web page by hitting the forward slash and typing that word? 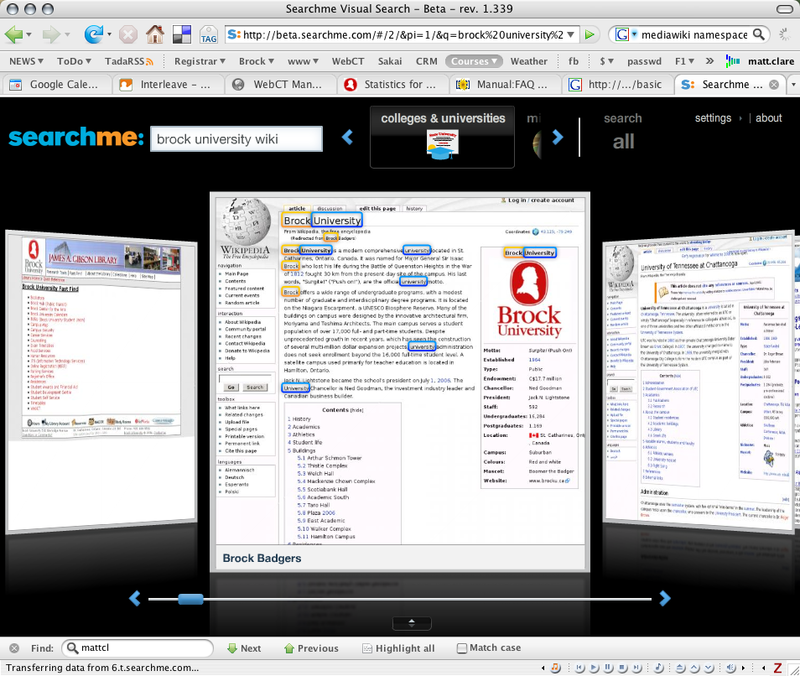 For example, you want to find â€œFirefoxâ€ on this page, you would type /firefox. 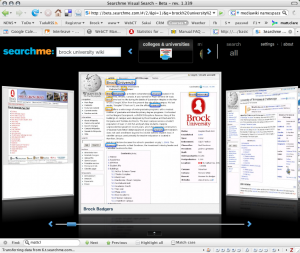 Then the first instance of â€œFirefoxâ€ will appear highlighted. This slash search feature is really just a shortcut to ctrl+F/Command+F but it shaves precious micro-seconds off of your workday. You are currently browsing the iMatt :: The Blog of Matt Clare weblog archives for May, 2008 .